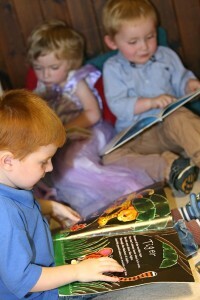 We follow the Early Years Foundation Stage (EYFS) curriculum. The key person will work with you to achieve the best for your child, and their development. Communication between families and key person is very important in our setting. We promote teaching and learning to ensure that your child has the skills to grow, providing the right foundation for future life throughout school and life. We have a child-led approach, and members of staff will join and support their play. The children also h ave opportunities to take part in adult-led small and large group activities throughout the sessions. Our new planning structure is explained in this document. 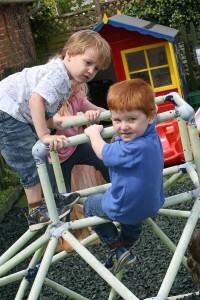 We understand that all children are individual and children learn and develop in different ways, and at different rates. 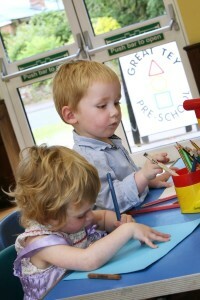 The EYFS has seven areas of learning, we work using the seven areas with your child to help their development. 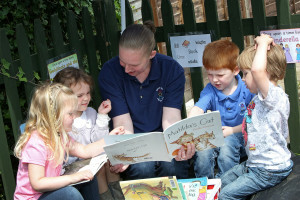 As a registered charity, the Pre-School is managed by an elected board of trustees known as the Management Committee. This Committee is made up of parents: current, prospective and past. This is explained in the Appendix 2 of our Prospectus (you can open this on the link on the right hand side of this page.) We welcome parents on the Committe e and to share their comments and suggestions with the Pre-School. We are a member of the Pre-School Learning Alliance who support and guide the majority of Pre-School providers in the UK and we are Ofsted inspected. Our current Ofsted can be opened on the right hand side. As a team we have refurbished the garden. 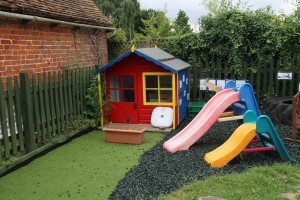 We have put rubber chippings down to achieve a garden that can be used all year round. It has access to water play, sand play, reading corner, mathematical area, literacy area, easel painting area, and a sensory area. 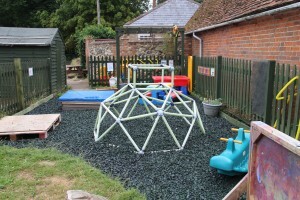 Please call for a visit to see our fantastic new garden area. We are currently working to achieve the ‘Good Beginners Bronze Autism Award’. Letitia is our Autism lead and will answer any questions you have regarding this award.